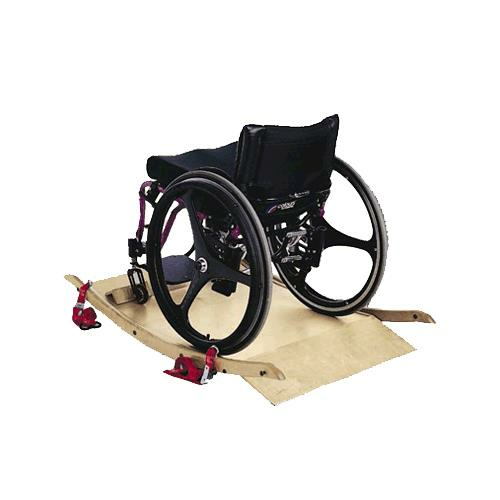 TherAdapt Wheelchair Platform Rocker allows the wheelchair user to experience all the benefits of rocking right from their chair. It helps promote relaxation while also providing some exercise. 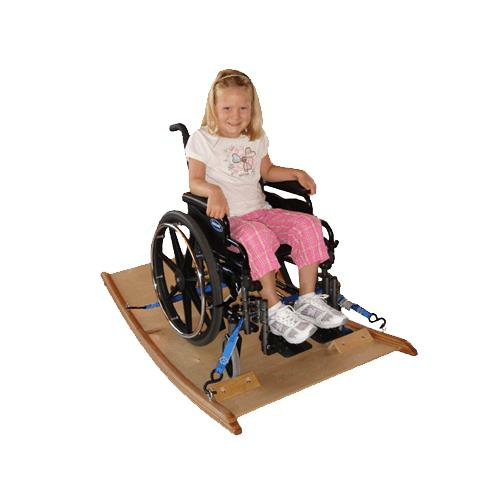 The vestibular motion of the platform may help to stimulate brain chemistry, while the rhythmic motion helps to prevent skin breakdown by shifting body weight and position. 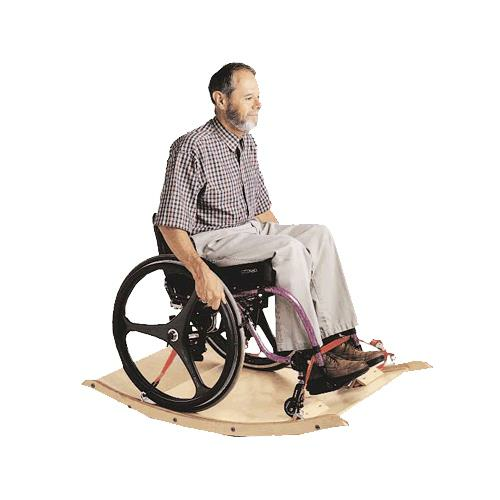 - It is designed for users who are strongly seeking sensory input through rocking, tend to rock vigorously, or use a wheelchair with a long base (such as a reclining wheelchair). The rockers were designed longer for this use. Due to the flatter arc, this unit requires the user to use more force to create the rocking motion. This Rocker is for users with good balance and good upper body strength that seek an additional and alternate exercise routine. - It is designed for users seeking a challenging exercise workout, or who wish to challenge their balance. 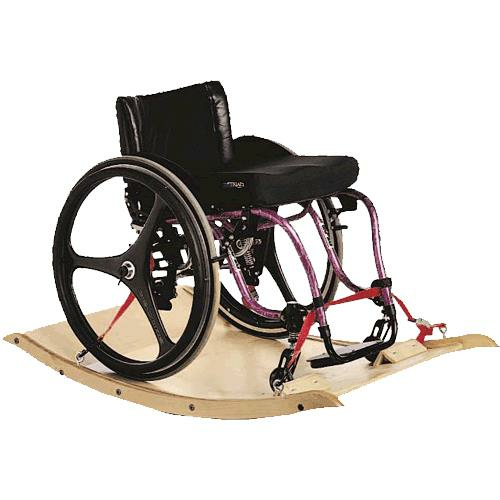 Great for individuals that are more active as more effort is required to create the rocking motion. - It has a flatter curve and is for users looking for the calming, gentle sensory effects of rocking. It is ideal for the geriatric population and individuals with sensory or balance deficits, as little effort is required to "make it go."